I bought it for his birthday. He loved it😁 This user was entered into a sweepstakes after submitting their honest review. 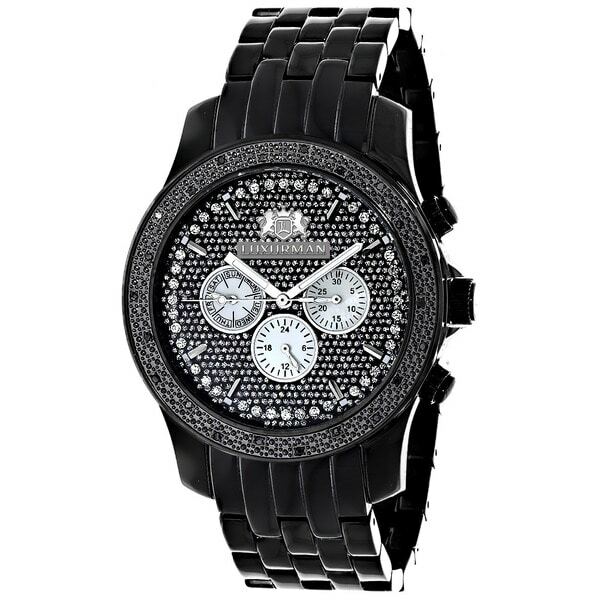 This men's black diamond watch by Luxurman features 1/4ct black diamonds, a black tone stainless steel case and a black face paved in white sparkling stones with three white Mother of Pearl sub-dials. Showcasing a fine Japan-made quartz movement, this men's diamond watch is water-resistant and makes a great gift for any occasion. This watch comes with two extra interchangeable black and white Leather Straps. Original jewelry box is required on returns. It's an anniversary gift for my Husband. He has all types of watches and I thought this would be an awesome addition to his collection.